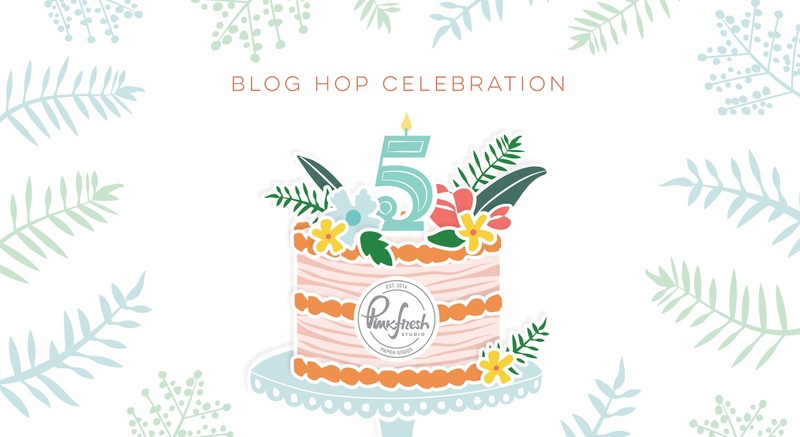 Elsie Robinson: Spring Cleaning | Pinkfresh Studio 5th Birthday Blog Hop! Spring Cleaning | Pinkfresh Studio 5th Birthday Blog Hop! Hey everyone and welcome to Pinkfresh Studio's 5th Birthday Blog Hop! 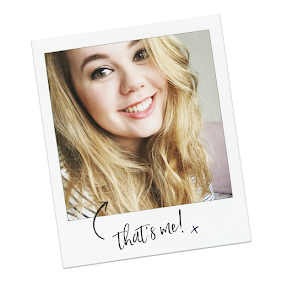 I'll keep this short and sweet because you've got a lot of awesome blogs to get to! I created this Spring layout using the Everyday Musings collection. 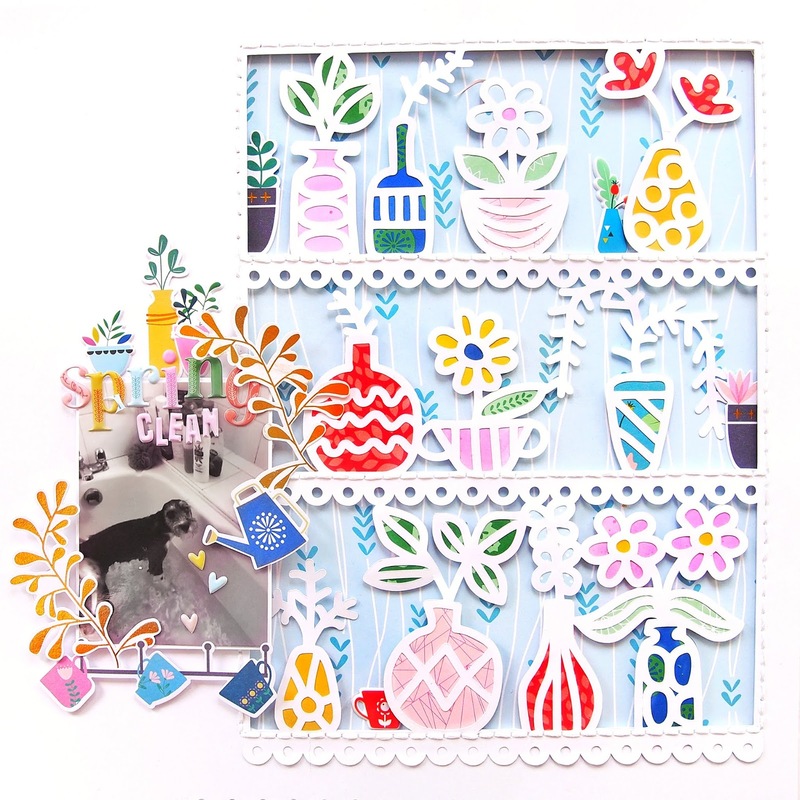 I was inspired by all of the cute plant pot embellishments in the collection, and as soon as I saw this plant shelf cut file (by Paige Evans) I knew I had to create a layout with it! 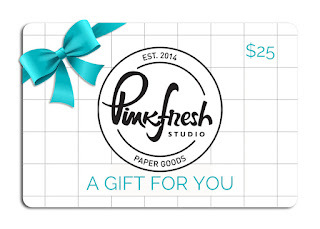 Now for all of the Pinkfresh goodies you can win/purchase! To enter make sure to comment on this blog post. All winners will be announced on Sunday April 14th. So make sure you check back on the giveaway page to claim your prize! And finally... with any orders you make at Pinkfresh, you will get this adorable 'xo' die completely free with any purchase! And for free/discounted shipping between April 5th-7th, enter the code FREESHIP5THBDAY. Love your layout. That cut file is adorable! Love the pops of color on your layout. wow your page is sensational - so many little details!!!! Love how you used the cut file!!! Oh, super cute layout! Love it! Love this layout! So fun and cute. Great job with all the beautiful patterns too. Such a fun layout! I love it!! Oh my gosh - so much work must have gone into this layout! So Cute! Such a lovely layout...can see lot of hardwork too...great work,keep it up!! Oh.... such a happy, colorful layout. Love every perfect detail!! What a wonderfully colourful layout ... such detail in your layers too! love your layout so much. Love your fun, colorful spring layout... it's so upbeat and cheerful! Super cute layout! I love it! This would make a fun home decor project. Love what you did with the cut file, so cute! So cute! Love your layout! Love your plant shelf. So creative. Adorable layout. Really like the flower cutout and all the wonderful colors and paper used for piecing it together. That cut file is adorable! Super cute and fun layout! It's very shiny and fun layout. I love it! Oh my goodness!!! Great way to stretch your pretty papers with those cut files.Thanks for the great inspiration! Love your sweet and fun designs! What a cute card. I love all the little potted flowers. Adorable! So creative! Lovely colors and fun design! This cutfile is awesome and the way you backed it is so fun! The stitching is the perfect touch. That is one stunning layout! Wow! What a different type of layout ... I love it! Fantastic layout! 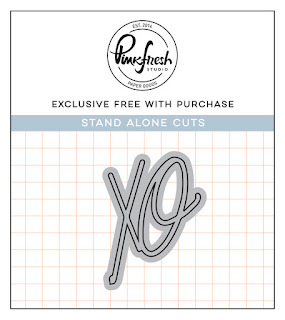 The cut file is so cute. Your layout is super cute - thanks for sharing on this wonderful blog hop! This is so darling! Love how you put it all together! What a cool cut file, your layout is awesome! Thanks for the inspiration! So cute and fun, love this layout. Thank you for sharing. Love your LO...I am so inspired to try a die cut like this in my next LO! Fabulous page! Love all the cute vases and your wonderful style. Oh, this layout is a favorite. I love the bright colors and the adorable pots and flowers. your layout (and the cutfiles) remind of the floral die set which is my favorite. AND there's a puppy. I mean, how much better can you get???? I love all your flower pot embellies! But poor little pup, it looks like,"When I get out of here you're gonna regret it!" Is that a mini-schnauzer? I had one and she was one of a kind! I just love graphic cards. Thanks for sharing! What a fun layout. Love the colors. Great use of the Pinkfresh Studio products. Thanks for sharing your creativity! Those different pots all lined up on the shelves are so cute. Great design! This is adorable!! I love the pots!!! Your puppy is so cute!!!! Wow this is such a beautiful page!!! And oh what an adorable pup you have! I just love their sweet pathetic little faces when they're getting bathed lol!! This is an adorable layout! The paper piecing on the plants and pots is amazing. Great design and such a cute picture! Love this layout with bright colors. cute and colorful. Love the shelves of plants. WOW! This layout is my favorite yet. Awesome job. Just love the design. Cooooool. Such a cute layout. Love the little pots backed by the pretty pattern papers. Congrats to Pinkfresh Studio on completing 5 years. I love your products. Wishing you many more successful years ahead. Love how you created those shelves! When I saw all the fabulous pots of flowers that you created, I was not expecting that the picture would be of giving your dog a bath. That was a fun surprise, and yet it still goes perfectly with the layout! Thanks for sharing with us and being part of the Pinkfresh family. Super cute layout. Mahalo for putting on such an awesome blog hop! I am in love with everything the design team has created!! Good luck everyone! Super fun LO!! Poor poochy....lol... Love the plant shelf cut file!!! Super fun and playful layout! Fantastic design and I love the colors. Love the cut with these sweet designer patterns! okay, if Spring cleaning looked this pretty I wouldn't mind jumping right in! !